HALBERDIER Real Estate LLC, a HALBERDIER Holdings Company, is a privately held entrepreneurial commercial real estate investment, development, advisory and management Enterprise headquartered in The Woodlands, Texas with a major focus in North Houston around ExxonMobil, Springwoods, Grand Parkway, Hardy Toll Rd., and The Woodlands greater area including North Harris and Montgomery Counties. WE CREATE EXCEPTIONAL REAL ESTATE OPPORTUNITIES THRU LIFESTYLE & ENTERTAINMENT EXPERIENCES maximizing first class Investment, Development, and Advisory services with public and private entities in every facet of commercial real estate. HALBERDIER’s unique model focuses on PARTNERSHIPS with INVESTORS and CLIENTS via acquisition/investment, value-add/development, disposition, capital procurement, management and corporate advisory services. The array of opportunities consists of RETAIL, OFFICE, INDUSTRIAL, LAND, MEDICAL, MULTI-FAMILY and MIXED-USE Assets. HALBERDIER Real Estate’s foundation is rooted in disciplined remarkable performance, integrity, significance, informed courage and distinctive impact. HALBERDIER Real Estate fanatically seizes real estate opportunities on behalf of corporate clients/investors, and also thrives as promoter/sponsor/syndicator/developer by investing and creating commercial assets resulting in long term value for their equity, debt, and project Partners. The H Companies and HALBERDIER Real Estate encompasses entrepreneurial zeal, intricate processes, faithful relationships and a pioneering capacity to uncover and maximize truly exceptional commercial real estate opportunities. Trey Halberdier in Fall of 2013 launched HALBERDIER Holdings LLC, HALBERDIER Real Estate LLC and serves as Operator/Developer/Manager of 20 plus LP’s/LLC’s on behalf of The HALBERDIER portfolio in partnership with high net worth private and public entities, family offices, and domestic & international VC funds. The HALBERDIER Real Estate enterprise’s outputs are exceptional performance, distinctive impact, resilient endurance and community connectedness. Trey’s extraordinary gravitas, passion, commitment, hunger and grit defines The H Companies- as he defines as his 5th child. 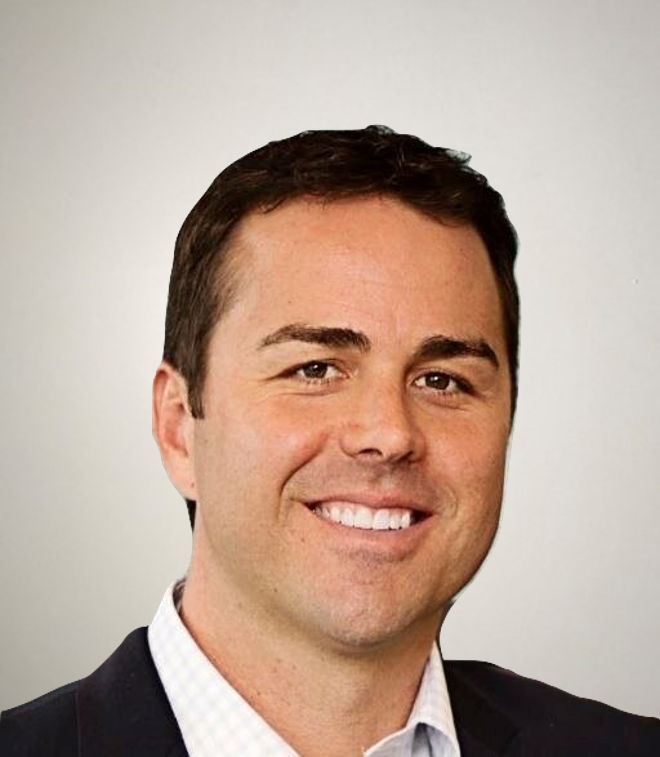 Prior to HALBERDIER Companies, Trey co-founded BANDIER Companies / BANDIER Real Estate LLC – a full services Commercial Real Estate Investment, Development, and Brokerage/Advisory Partnership in The Woodlands TX. Trey also served critical roles at CBRE, Newmark Grubb Knight Frank, and CRESA Partners over his 17 year tenure in Commercial Real Estate. He currently serves as Founder & Chief Believer, and visionary leader of HALBERDIER Holdings LLC, HALBERDIER Real Estate LLC, The H Real Estate and other single purpose investment, development & management entities. Trey’s background began representing Fortune 500, multi-national, private and public entities in all facets of commercial real estate advisory, investments and developments. Trey quickly realized his purpose and passion was greater than the sole practice of Brokerage & Advisory. His innate entrepreneurial disciplined abilities launched him into the creative dynamics of a CRE investor and developer. He created HALBERDIER Real Estate, also branded as The H Real Estate, to be an exceptional, “high-octane” boutique investment, development, and brokerage firm in Texas. Exceptional Performance, Distinctive Impact, Resilient Endurance and Community Connectedness are his significant outputs. Mr. Halberdier’s wide range of experience includes Property Acquisition/Disposition, Sale/Leaseback, Investment Analysis, Ground up Development, Build to Suit, Design Build, Land Purchasing/Disposition, Business Development, Tenant Representation, Landlord Representation, Developer Owner Rep, Syndication, Promotion and Financial Services/Placement for Investments & Developments and (pre)Foreclosure & Bank REO Advisory and Principal Note Purchases. Overall, Trey instills a fanatically disciplined entrepreneur mentality and possesses a keen ability to sponsor, procure and close complex deals with clients and sources such as: US Bank, Whitney Bank, Allegiance Bank, FDIC, SBA, RPC Inc., Malvern Instruments, Caza Oil & Gas, World Financial Group, Petroleum Wholesale, Citibank, The Redstone Companies, G.E. Capital, VOPAK, China Airlines, AmREIT and Private Investors, VC Funds, Banking, Oil&Gas, Medical, Retail, Institutions, and Developers alike. Mr. Halberdier graduated from The Ohio State University with a B.S. in Business Administration with a Major in Marketing at The Fisher College of Business. While studying at The Ohio State University, Mr. Halberdier won NCAA Big Ten Conference Varsity Scholar Athlete Awards and a Big Ten Championship as a four-year letterman playing Division 1 Big Ten Varsity Men’s Soccer. Trey is affiliated and member of ULI, CommGate, NAIOP, Texas Young Professionals, CoreNet, HAR/TAR, ULI, and CCIM. Mr. Halberdier enjoys his family time with his wife Paige, son Gavin, and three precious daughters Lyla, Libby, and Grace. Trey and his family are committed members of The Woodlands United Methodist Church. He serves as a Board Member of TWUMC, Commercial Gateway Houston, and past Vice President for The Ohio State University Alumni Association Chapter in Houston. Trey is keen on mentoring talented real estate enthusiasts and is Mentor with Investor Mentor Program in the Center for Entrepreneurship at the University of Houston C. T. Bauer College of Business. Trey is a lifelong member of the Sigma Chi Fraternity Alumni Program, and an active youth Soccer Coach in The Woodlands Community. Trey also loves to travel to Colorado and Mexico, read, cheer on his Buckeyes, practice yoga and swim, golf, mountain bike, and pretty much anything outdoors.